Main > Blog > Where to Get Help for Back Pain in Toronto? Back pain is an equal opportunity ailment. It affects men and women in Toronto alike and knows no ethnic or socioeconomic limits. One moment you are going around doing your regular chores, lifting groceries and the next moment wham! Your back is whacked! According to the Chronic Pain Association of Canada, eight out of ten adults suffer from back pain at some point. While it is most common in adults, children and teenagers are known to suffer from mechanical back pain (carrying heavy backpacks, and improper posture while sitting, standing or walking). There are a variety of causes for back pain in adults like aging, physical strain (sports or manual labour), injury or trauma, disc degeneration, nerve compression- sciatica, arthritis, poor posture, ergonomics, stress, and so on. The back is a complex network of bone, muscle and nerves. 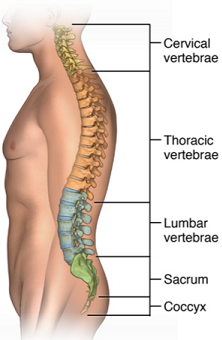 The spine is a stack of cylindrical bones called vertebrae and they form a natural ‘S’ curve from your head to your hips. The spine supports your body weight and balances the upper and lower body. Abdominal and back muscles support your spine and nerves run down your spinal column to the rest of your body. Intervertebral discs create a cushion between the vertebrae and absorb any shocks related to movement. The lumbar region of the spine is more prone to injuries and degeneration problems. 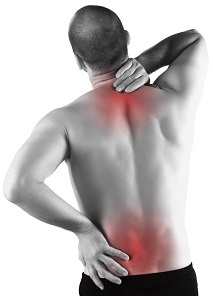 Back pain is of two kinds - acute (sharp pain / temporary), chronic (long lasting). The intensity of pain maybe similar in both, but acute pain subsides with time whereas chronic pain stays and hampers your lifestyle. Apart from pain there is also stress, frustration, lack of sleep, depression and inability to concentrate. For many people more than the pain, it is the helplessness that distresses them the most. So, what can you do? Consulting your primary care doctor should be the first among your list of priorities. Your doctor will conduct some physical checks to analyse your balance, flexibility, muscle strength, and reflexes. They might recommend a series of screening tests including x-rays and MRI to help them diagnose the condition and causes. Based on the findings you will be prescribed to take medications or referred to a specialist. Generally there are three types of medications prescribed for back problems-anti-inflammatory drugs, pain medications and muscle relaxants. Apart from these physical therapies like massage, exercise, alternate heat and cold treatments have proved very effective to control pain. Surgery is only required in 5% of the cases and is reserved for people suffering from neurological symptoms like disc degeneration and sciatica. It is never an option for reducing pain. If your pain persists for longer than six months, it is time to look into other treatment options. Fortunately there are a wide range of conventional and alternative treatment options for back pain in Toronto. Core Wellness Centre, Toronto, offers a variety of treatments to alleviate back pain from chiropractic care, targeted corrective exercises to help strengthen and rectify posture imbalances in your body, massage therapy through a registered therapist and nutritional counselling with recommendations for healthy living. They also give you a free spinal screening and posture analysis. Cold Laser Therapy - low level lasers are used to increase blood circulation and tissue regeneration with no reported side effects. You can visit their website and register for a customised wellness plan. Rothbart Centre for Pain Care, Toronto, has developed pain management care plans using a complete and multi-dimensional approach. Their choice of treatments include Radiofrequency Neurolysis that uses heat to destroy selected nerve fibres and effectively block pain signals to the brain, Intravenous Lidocaine Infusions and Nerve Block Injections which help reduce pain. Spinal Relief Centre of Canada takes a diverse approach. Patients are guided through a broad treatment program including therapeutic massage and laser treatment by a group of experts to strengthen and rehabilitate their back muscles. Back Clinics of Canada and Allevio Clinics, Toronto, offer specialized treatments for people with back pain due to degenerated disc, sciatica-spinal decompression. In addition to the conventional treatments, alternate therapies like Acupuncture and Naturopathy emphasize on holistic approach by focusing on your whole being instead of a specific condition. Markham Pain Clinic uses a combination of alternate and conventional methods for treating back pain. Make informed choices and weigh your options before zeroing on a treatment plan. Consult your Primary Care Physician or a Registered Chiropractor to determine what works best for your condition (you can find a good chiropractor in Toronto basing on other people reviews).Your attitude towards pain is the most important part of the healing process. Build an exercise regimen with stretching and strengthening workouts like Pilates, Tai Chi, Yoga and swimming. Watch your posture while you sit, sleep, bend, read and watch television. Many times we are so caught up in our chores and work; we pay little or no attention to posture. Back pain affects each one of us at some stage in our lives but with the right lifestyle choices and treatment options we can afford to turn our backs on it.